CNC (computer numerical control) woodworking works something like a 3D printer, except it uses a computer controlled router to carve wood. This allows us to create complicated carvings and details in woodwork, extremely precisely in a fraction of the time that it would take to carve by hand. 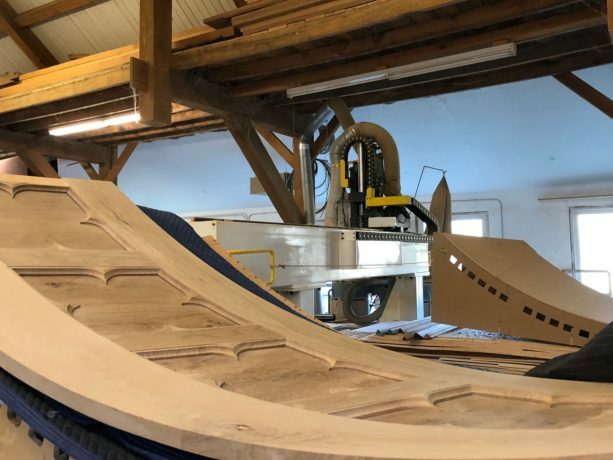 We are collaborating with a partner who has a CNC router with a large, 25 foot bed that is capable of handling small and large jobs. 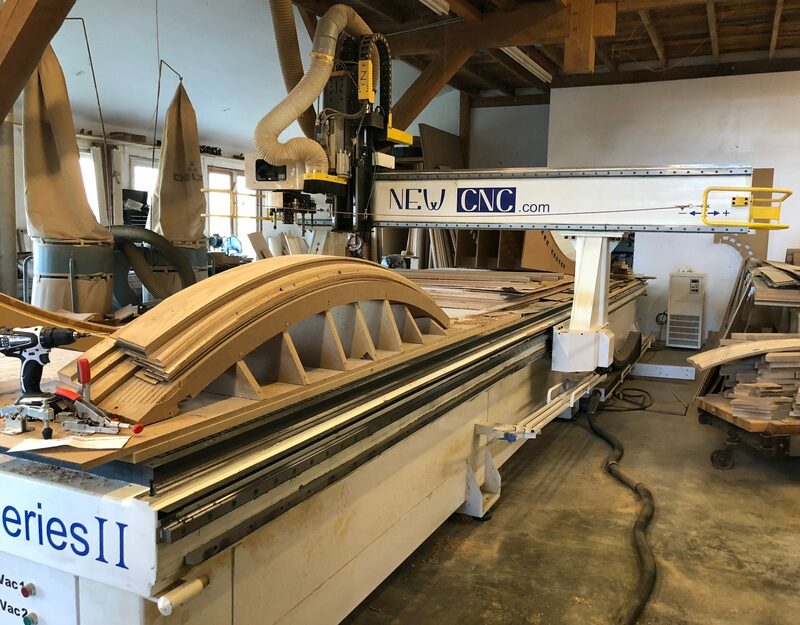 For example, we are currently working on a circular stair case with ornate wainscoting and compound curved handrails, and arched vaulted openings that tie into elliptical cased openings.This machine has made jobs like this far easier and more precise. The CNC produces beautiful work, and it’s very exciting to be able to offer this capability to our customers.